Now, here is a smartphone, the kind of which you don't see every day. 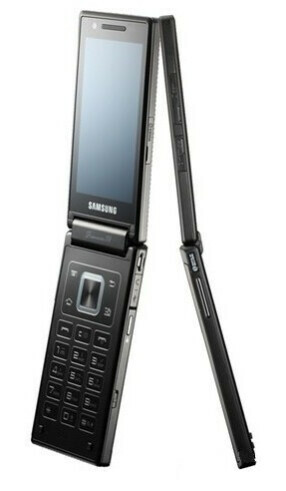 The Samsung SCH-W999 is an Android flip phone that has a pair of WVGA Super AMOLED touchscreens, 3.5 inches in diagonal, and can operate with two SIM cards simultaneously. Besides, it is powered by a 1.2GHz dual-core chipset – the MSM8660 by Qualcomm, and can operate on both GSM and CDMA networks. You also get a 5-megapixel camera and 16 gigs of on-board storage. Unfortunately, if this unusual handset fits your tastes, there is something that will disappoint you. 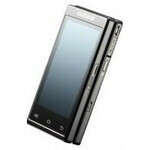 And it is not its excessive weight of 206 grams (7.26 ounces) that we are talking about. 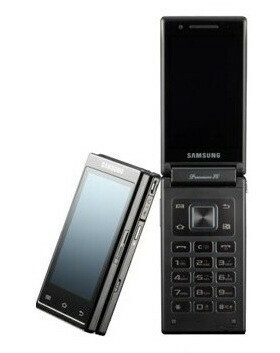 The Samsung SCH-W999 is to land on the shelves of China Telecom early next year and will retail for about may retail for up to $1570. The U.S., however, is highly unlikely to get a version of it. But judging by the poor sales of the Kyocera Echo, the U.S. market is not too fond of quirky form factors anyway. Up to 10,000 yuan, to be precise, which is about that much. Wow!!! It's even heavier that Nokia N90 flip phone.